A fun project popped into my head. The idea had the potential to strengthen families and spur on meaningful conversations. Instead of attempting the project on my own, I took a risk and asked a few others if they wanted to collaborate. To my delight, they were intrigued about the project and willing to be a part of it. I was thrilled! It seemed like a God-inspired idea! The door of possibility was open wide. We worked hard, against difficult odds, and pressed on. And then (due to unexpected circumstanced beyond our control) it all fell apart. Out of left field, a windstorm appeared and we wisely took cover. Disappointment set in; I felt like I’d let the team down. Although I hadn’t realized that wind was in the forecast, I could have been more prepared for something like it. Had I heard God wrong? Had I run ahead hastily? I don’t think so. Just because something doesn’t turn out the way you want it to, doesn’t mean you weren’t supposed to do it. Risk-taking has a variety of results. Right around the same time, I took another risk. I reached out to a fellow writer and basically said, “I think we should be friends”. 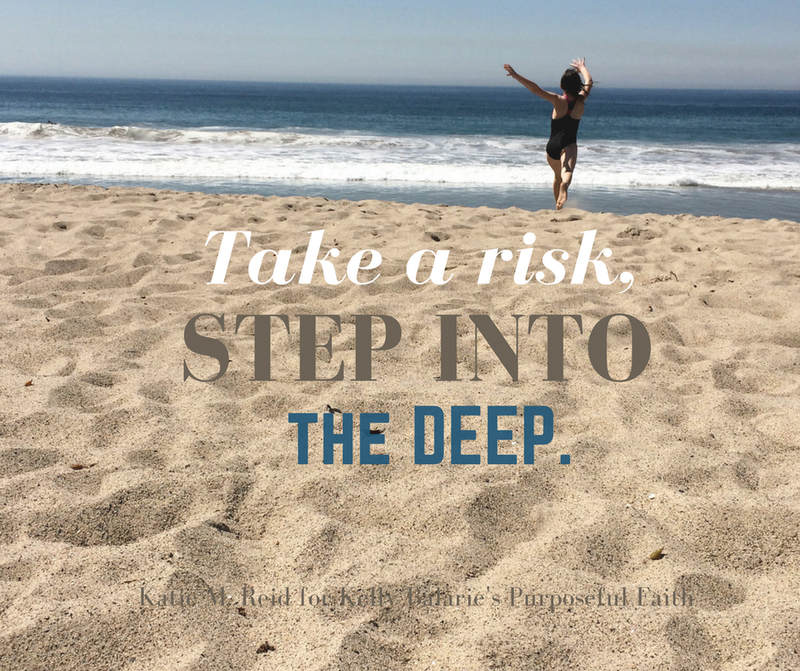 It felt awkward and vulnerable, but I had experienced that “take a risk” nudge again—so I followed through. I’m happy to say that this risk had a more favorable outcome. I had a hunch this friend and I were cut from a similar cloth, and that has proven true—”two peas in a pod” is how she describes it. We have encouraged each other, helped one another, and celebrated work milestones together. It would have been a shame if I had let the failed-project situation keep me from risking again. It would have been easier to ignore the prompting and save face in case rejection ensued…yet we both would have missed out. They could believe what they saw with their eyes or they could believe what God told them. They could take a step of faith or turn back in doubt. They could risk their current comfort and follow God or they could settle into sinful patterns in rebellion to Him. Has God prompted you to take a risk? 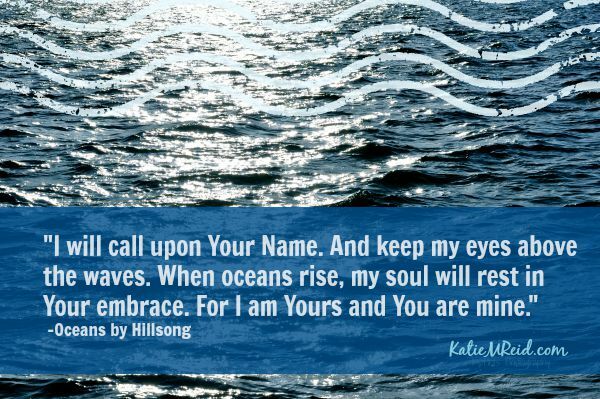 Are you dragging your feet…afraid to step into the sea before you? Love this Katie, thanks for sharing! Hi Meghan! Hope you have a great weekend. A step of faith is risk worthy. I am doing that lately. Good to visit you Katie. Hi Ifeoma: Good to “see” you. Press on!